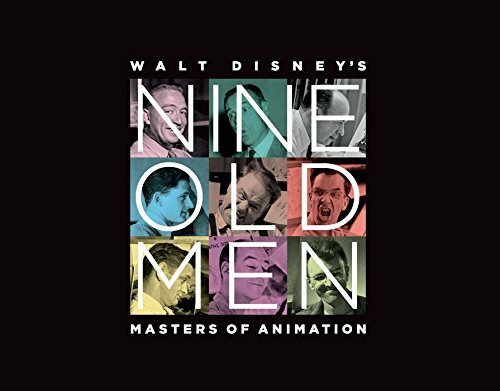 Celebrate the legacy of Disney’s core group of animators, with Walt Disney’s Nine Old Men: Masters of Animation, featuring original sketches from classic films such as Pinocchio, Bambi, and Peter Pan—including an exclusive look at the animators’ lives, with personal caricatures and fine artwork. In the mid-1930s, President Franklin D. Roosevelt coined the term “Nine Old Men” to describe the nine justices of the Supreme Court, who had seemingly lost touch with the ever-changing times. In jest, Walt Disney borrowed the term several years later to refer to his core team of animators—Les Clark, Marc Davis, Ollie Johnston, Milt Kahl, Ward Kimball, Eric Larson, John Lounsbery, Wolfgang Reitherman, and Frank Thomas—even though they were neither old nor out of touch, and in fact would together make history with their cutting-edge contributions to the world of animation. Produced in conjunction with The Walt Disney Family Museum’s 2018 exhibition of the same name, Walt Disney’s Nine Old Men: Masters of Animation features an array of fascinating artwork and family mementos from each of these accomplished gentlemen, such as sketchbooks, caricatures, and snapshots, as well as original art from the classic films Pinocchio (1940), Bambi (1942), Peter Pan (1953), Lady and the Tramp (1955), and Sleeping Beauty (1959). Personal art, paintings, sculptures, flip-books, and hundreds of original animation drawings are all faithfully presented, alongside pencil tests and final color scenes that showcase their genius. In conducting his extensive research on the Nine Old Men, curator and celebrated producer Don Hahn sat down with each of the animators’ families for in-depth discussions, unearthing details about the unique personalities of the men behind iconic Disney characters and films. The result of this collaboration is a spectacular collection of personal artifacts and ephemera that have never been seen by the public, all of which help tell each animator’s individual story and reveal how they collectively elevated animation to an art form. After roughly 40 years of mentorship, the Nine Old Men were all named Disney Legends in 1989 in recognition of their lasting contributions, not only to The Walt Disney Studios, but to animation as a whole. This book offers a deep dive into their esteemed work and life stories—and a rich offering of the legacy they helped shape.